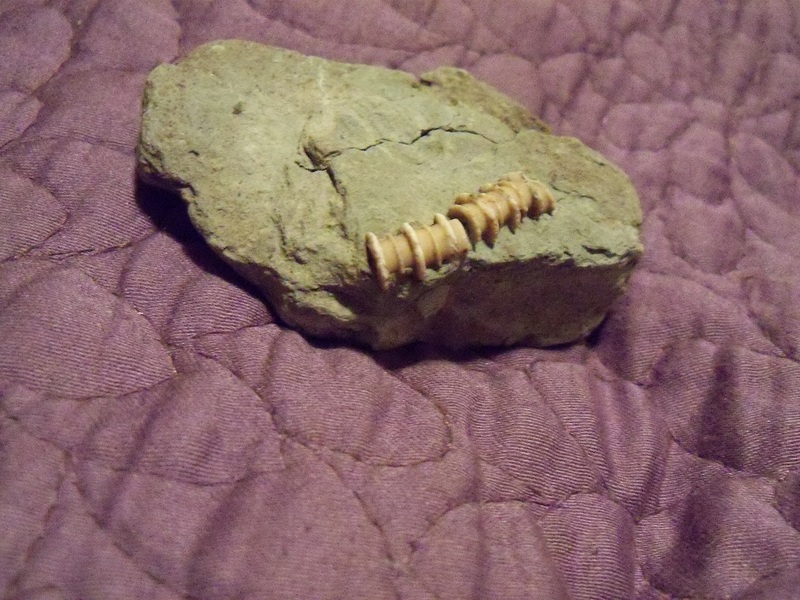 My birthday was in May and I had the opportunity to go fossil hunting at the nearby Lilydale Regional Park here in the Twin Cities. I acquired a permit and had a blast for several hours collecting fossils with my wife. I’m going to indulge myself and just share some photos and information from this trip. There were literally fossils everywhere. 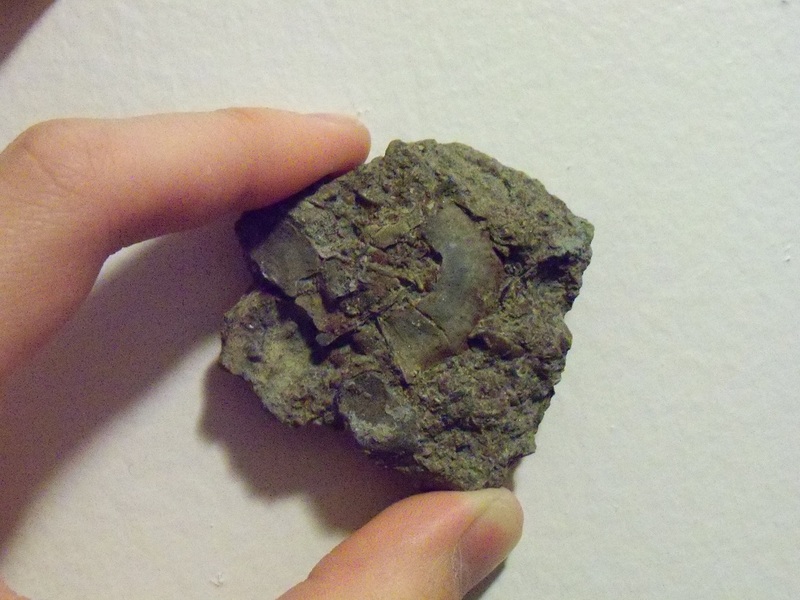 As I walked up some more trails, I realized that nearly every rock I picked up had some kind of fossils present in them. This became particularly evident when we went down a side trail to a stream. It was clear that the flow of water down the surrounding hills had dislodged a number of fossils and there was a large amount of clay running down towards the stream. This clay was completely filled to the brim with fossils. I could literally just reach into it and pull out a huge slab covered with fossils. It was awesome. 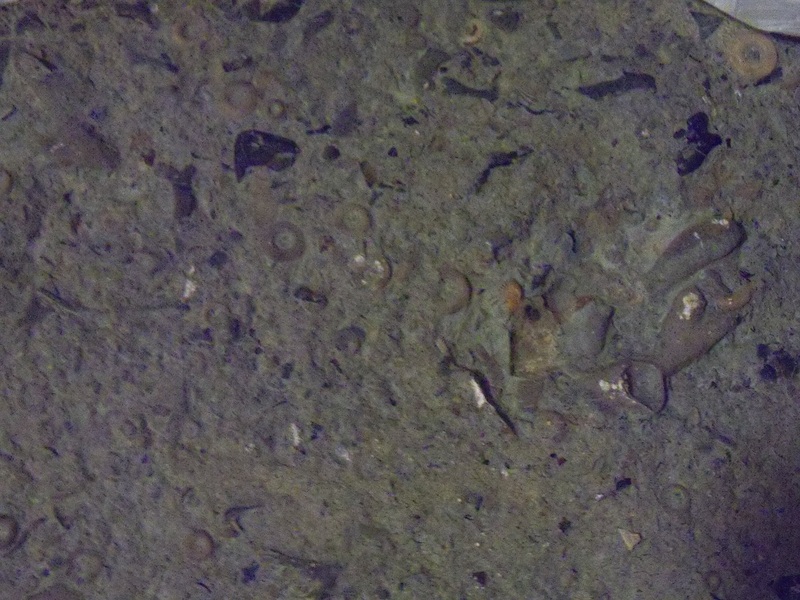 The fossils we found were a mix primarily from the Ordovician Period, about 450 million years ago. We largely found cephalopods (shelled squid/octopus like animals), crinoids (relatives of starfish), and brachiopods (other shelled animals). I can’t emphasize enough how completely covered these samples were with fossils. The picture on the left here is just one example of how fossiliferous these finds were. Overall, we had a blast. I plan on going back as soon as possible. My wife definitely had the best find, the picture on the top of this post–a crinoid stem of impeccable quality. She found this in the stream. I can’t help but think about my recent reflections on the sheer number of fossils we have discovered. This fossil hunting trip helped reinforce in my mind the fact that all of these creatures couldn’t possibly have died at once–they could not have all lived at the same time. They compiled over long periods of time and, after about 450 million years, I was there to unearth them. It’s astounding.